Happy Friday! Today is the perfect day to share a bright and refreshing spring treat. 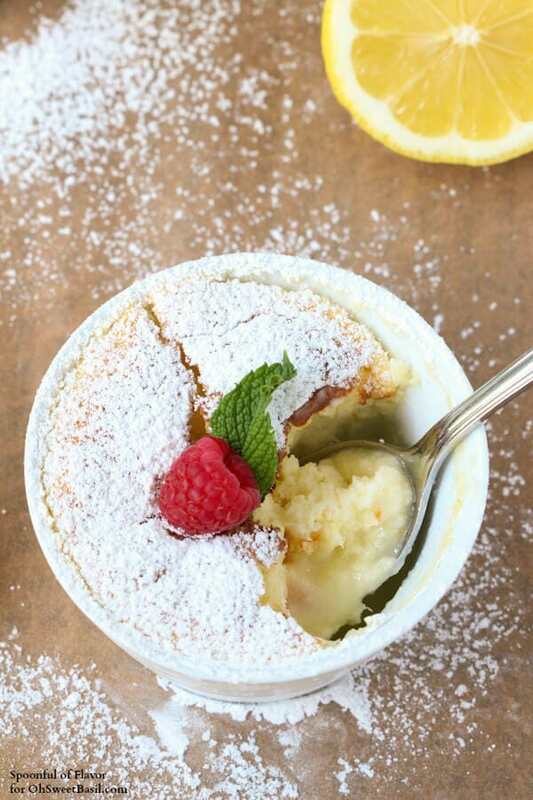 I’m Ashley from Spoonful of Flavor and I’m back with a luscious lemon dessert. I have a deep love for lemons. My citrus zester is my most frequently used kitchen tool. If you don’t already own one, you need to purchase one. It is amazing how much flavor a little lemon zest can add to a dish. 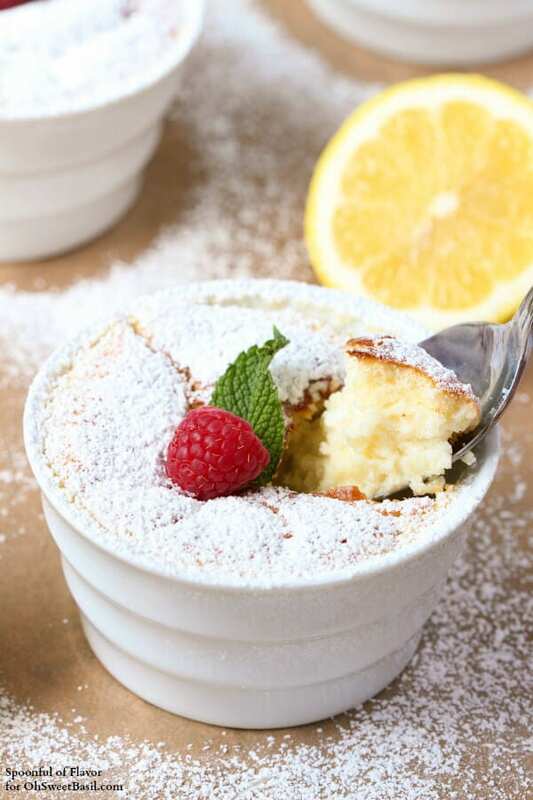 I love cooking and baking with lemon because it adds such a unique delicate flavor. 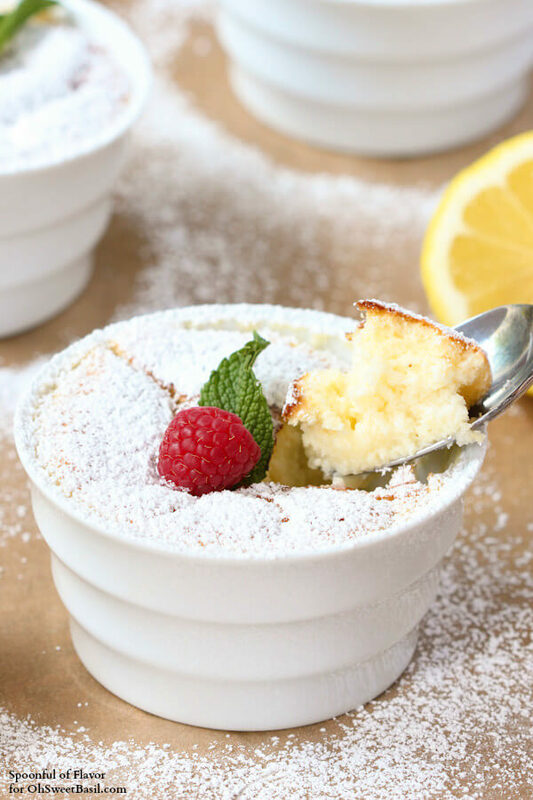 Lemon pudding cakes are a sweet, light and refreshing dessert that are perfect to serve for a bridal shower, baby shower or even Mother’s Day. A light, delicate layer of cake rests on top of a layer of gooey pudding. 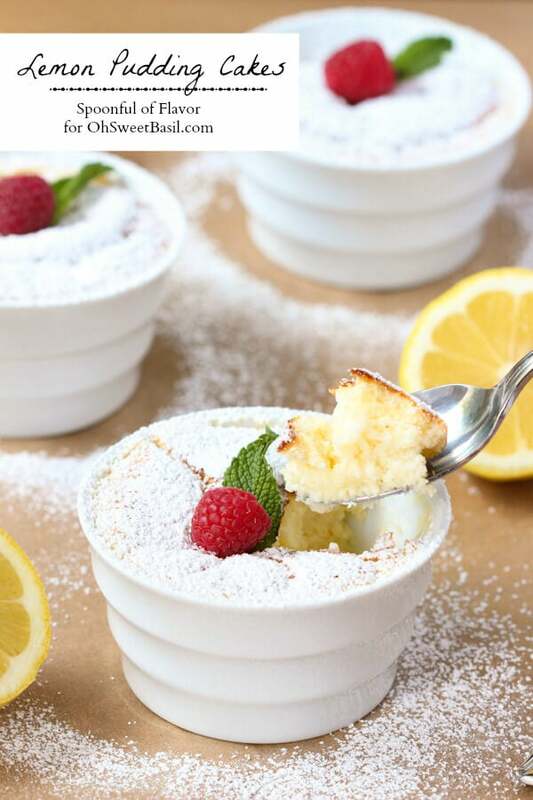 My husband asked me if these lemon pudding cakes were healthy because he couldn’t stop eating them. And I don’t blame him, the light delicate texture and sweet lemon flavor is hard to resist. While they might not be “healthy”, they are not necessarily unhealthy, right? 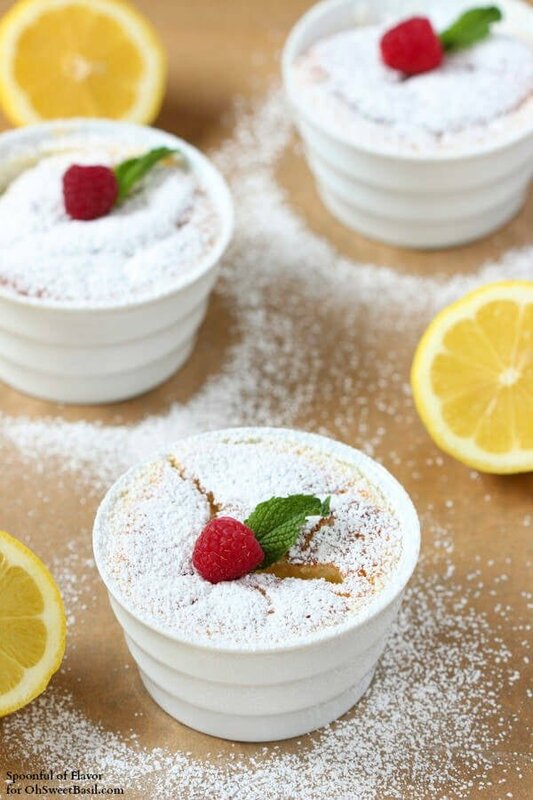 And the single serving ramekins are the perfect size to prevent yourself from over-indulging. But, I promise that I won’t tell if you eat more than one! A single batter yields two texturally distinct layers of lemon flavor. The water bath helps the bottom layer cook more slowly, resulting in a custard-like pudding. And the top layer bakes into a light and delicate cake. 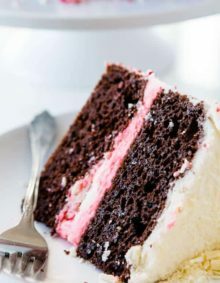 Don’t worry if your cakes start to brown a little on the top, just dust a layer of confectioner’s sugar over them prior to serving and you will have beautiful little cakes. Lemons or the juice itself does not have fat-burning properties. Lemon water will not speed up metabolism. Lemon water may help you feel refreshed and may help with hydration, but lemons or lemon juice will not burn fat. Why Do Recipes Call For Lemon Zest? Some recipes call for lemon zest because the colorful zest adds the bright acidic flavor of the fruit. Freshly squeezed lemon juice will last only for a few days, covered and refrigerated. Store bought lemon juice that has not been opened, will keep for over a year. Once opened, lemon juice will be good for several months. Adjust oven rack to middle position and preheat oven to 325 degrees F.
Fold a dish towel in half and place in the bottom of a large roasting pan. Place six 6-ounce ramekins on top of towel and set aside. In a medium saucepan over medium-high heat, bring milk and cream to a simmer. Remove pan from heat, whisk in lemon zest, cover pan and let stand for 15 minutes. Strain milk mixture through a fine mesh sieve placed over a bowl, pressing lemon zest and extracting liquid; discard lemon zest. 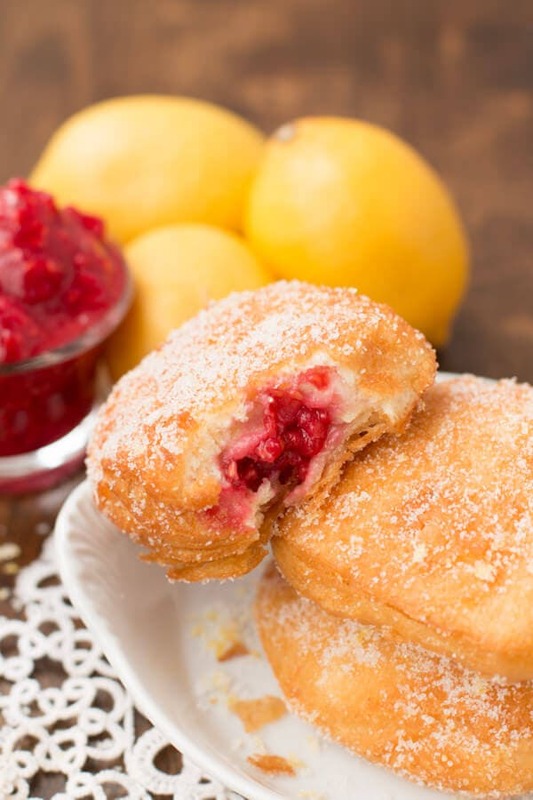 In a large bowl, combine 3/4 cup sugar, flour, baking powder, and salt. Add egg yolks, vanilla, lemon juice, and milk mixture; whisk until combined. In the bowl of a stand mixer fitted with the whisk attachment, whip egg whites on medium-low speed until foamy, about 2 minutes. Increase speed to medium-high and whip whites to soft, billowy mounds, about 1 minute. Gradually add remaining 1/4 cup sugar and whip until glossy, soft peaks form, about 1 to 2 minutes. Whisk one-quarter of the whites into batter to lighten. Using a rubber spatula, gently fold in remaining egg whites until no clumps or streaks remain. Ladle batter into ramekins until almost full. Pour enough cold water into pan to come one-third of the way up the sides of the ramekins. 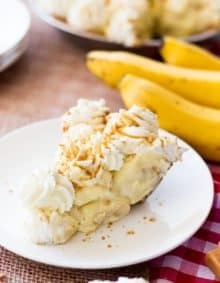 Bake 45 to 50 minutes, or until cake is set and pale golden brown and pudding layer registers 172 to 175 degrees in the center. Remove pan from oven and let ramekins stand in water bath for 10 minutes. Transfer ramekins to wire rack and let cool completely. Garnish with mint and raspberries. If you have any leftovers, cover with plastic wrap and store in the refrigerator for 1 to 2 days. Oh my goodness! 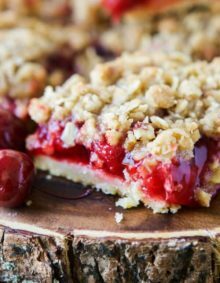 This dessert looks absolutely irresistible! 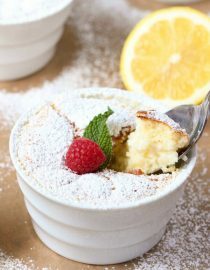 I am sure both my husband and I would love this pudding cakes because we love lemons. Bookmarked and pinned! Wow! These look amazing. Pinned for future reference–like tomorrow! These little cakes are beautiful! 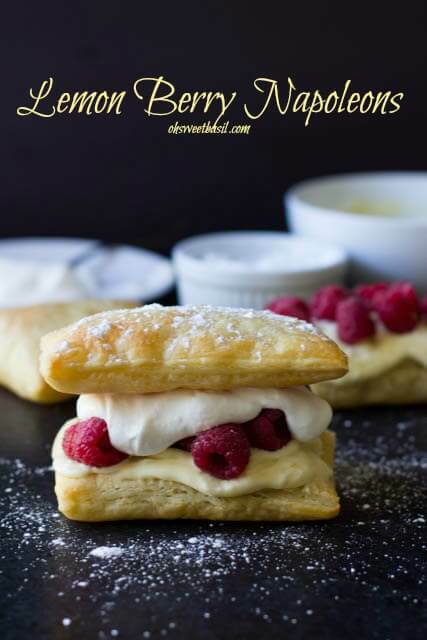 I just love lemon treats so I know I’d love these. Thanks for sharing Ashley and Carrian! What a delightful recipe! I definitely need to try it soon. Pinning! These look so perfect for summer! Oh my goodness! 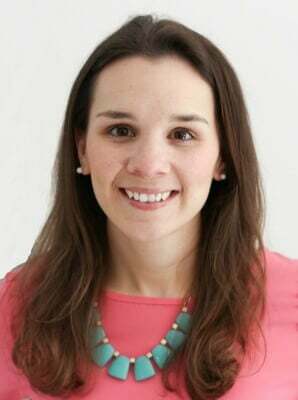 Looks like Ashley has done it again! 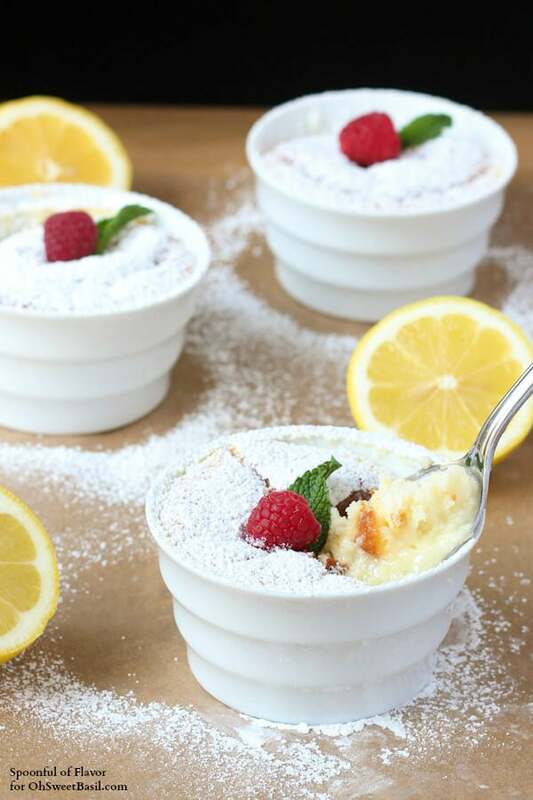 I, too, have a soft spot for all things lemon and these mini cakes are calling my name! And yes, it’s all about moderation ;).